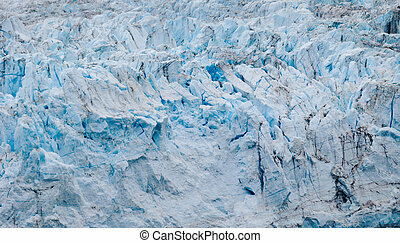 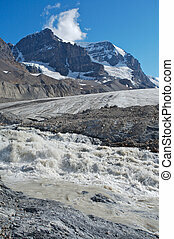 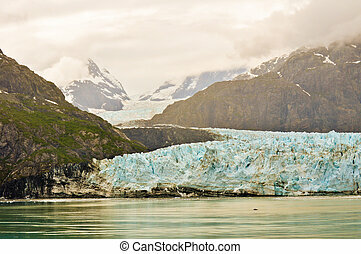 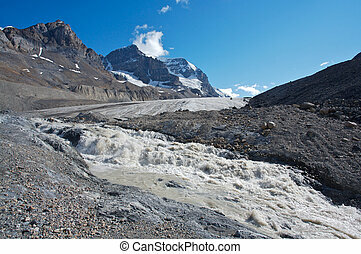 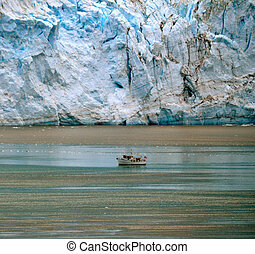 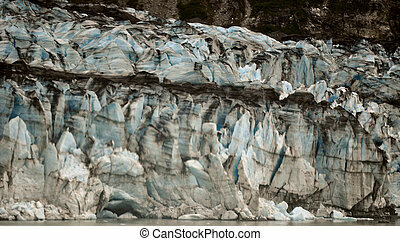 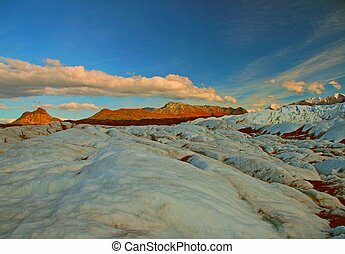 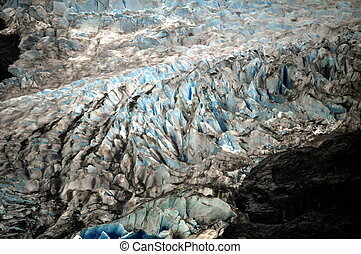 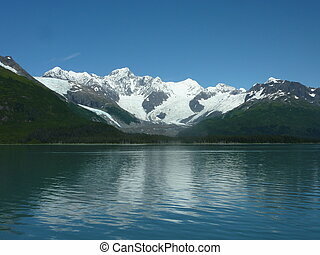 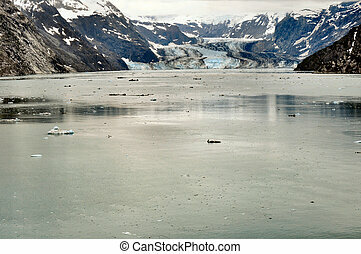 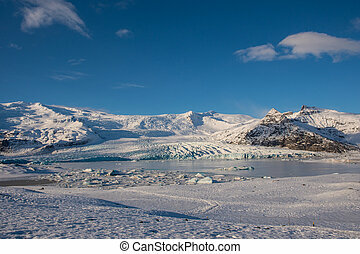 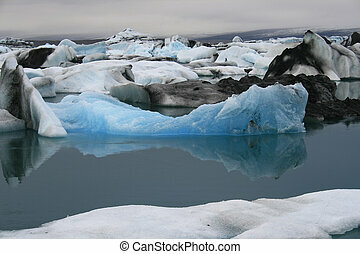 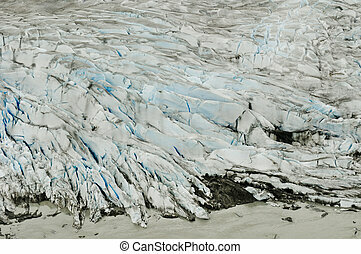 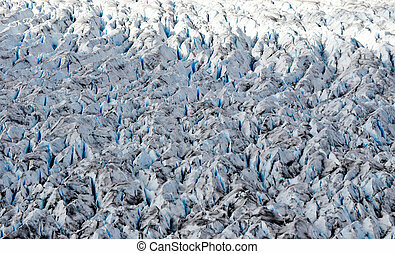 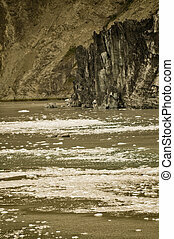 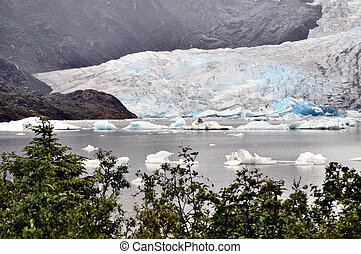 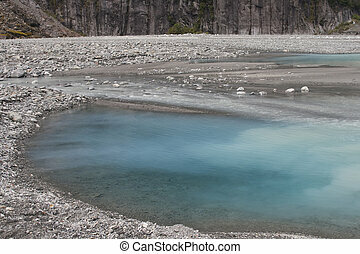 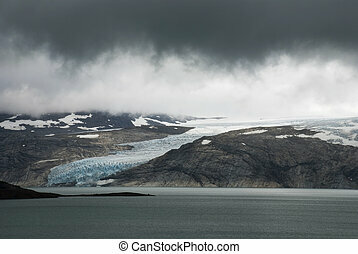 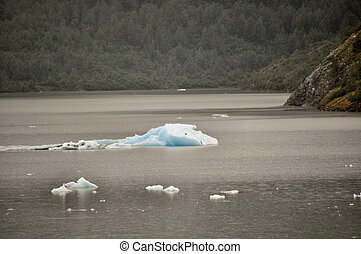 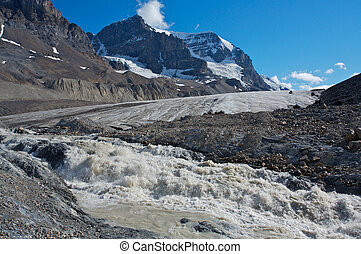 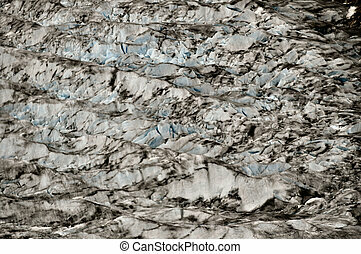 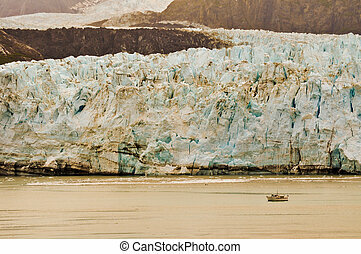 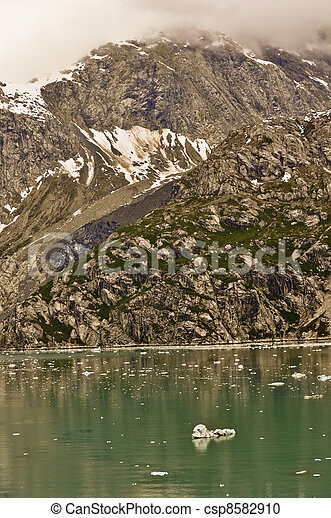 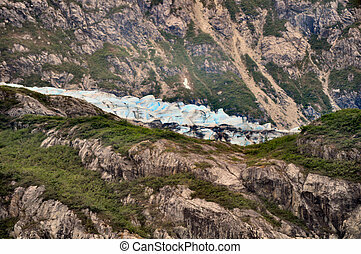 Alaskan glacier with iceberg in water. 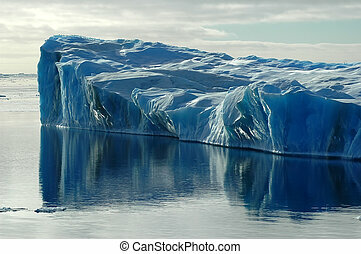 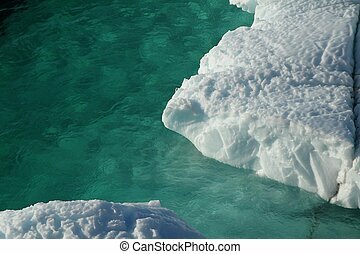 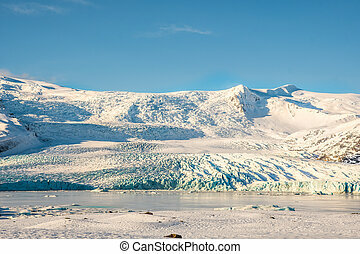 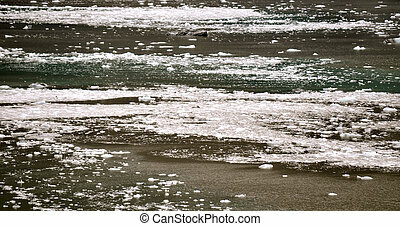 A sunlit Antarctic iceberg in the Southern Ocean in a calm sea covered by ice floes. 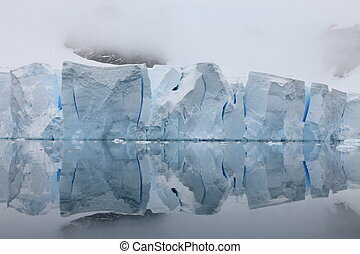 It beautifully reflects in the water. 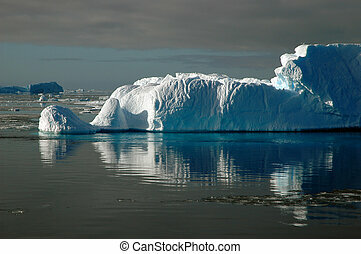 Another darker iceberg is visible in the background. 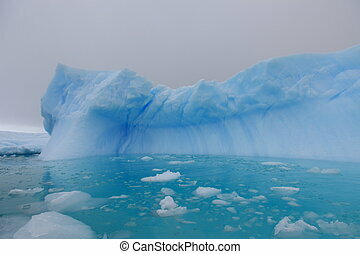 Picture was taken during a 3-month research expedition.